We've only had two now, but I think I can safely say that I live for Book Club meetings ;) My boyfriend's family started a club since we're all such avid readers, and it's turned into a fabulous excuse to nosh and drink. For our very first book club meeting a couple of months ago, we gathered to discuss Sycamore Row by John Grisham (semi-sequel to A Time to Kill). I definitely enjoyed it more than anyone else, and the rest of the club was quick to move onto the next book. 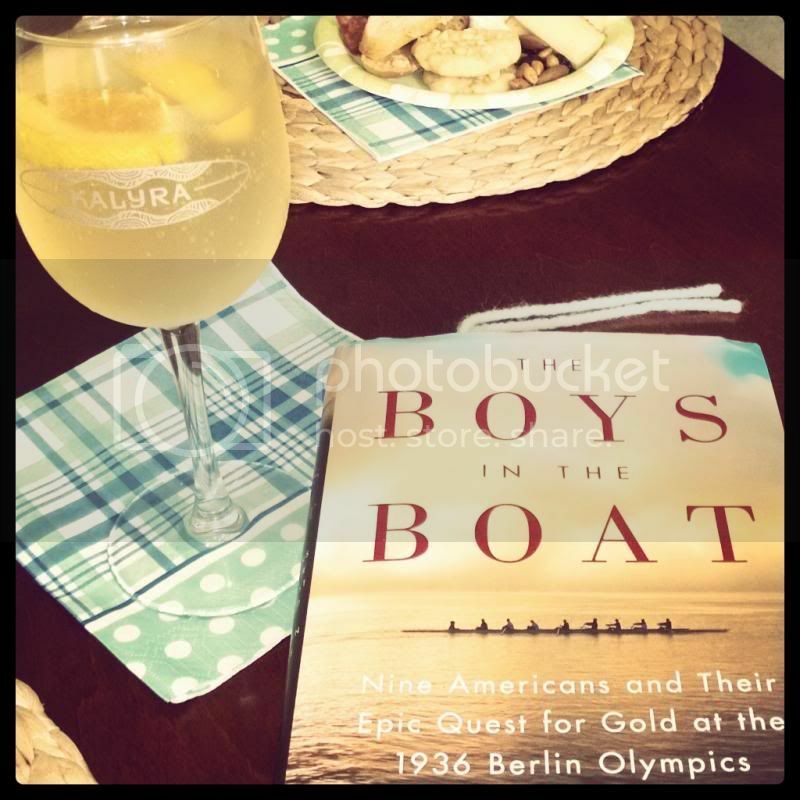 Today we gathered to discuss The Boys in the Boat: Nine Americans and Their Epic Quest for Gold at the 1936 Berlin Olympics by Daniel James Brown. Not a winner. We did succeed in drinking several glasses of peach sangria and eating strawberry salad, cheese and crackers, quiche and tiramisu - delish!